Casa Padrino has very unusual and fantastically beautiful wall mailboxes in the assortment that are just waiting for you. 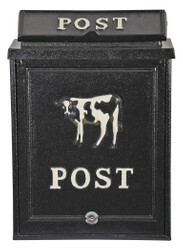 Just browse a little bit on our website and find exactly the right wall post box. Wall letter boxes are the most practical option among the mailboxes, as you only have to step out of your front door and not have to walk through the entire front yard. Wall-mounted mailboxes can be conveniently and quickly attached there and then every morning the newspaper for you. There are just as many possibilities in the design as with copies that you can attach to the front garden fence. So wall letter boxes are available in chic and modern metal versions. 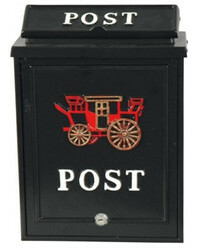 Or how about a wall mailbox in antique look? Each model has its own charm and can be matched in style and color on the wall behind it, the front door or other decorations in the front yard. In addition to the fact that a wall box is more easily accessible, the pieces have another advantage: mounted directly on the house, they are better protected from the weather than freestanding or attached to the fence models. So you will be able to use your wall letterbox for a long time! Professional advice and top service are a matter of course for us at Casa Padrino. Therefore, our employees bring with them a great deal of competence and experience. If you have decided on a suitable product, we take care of a professional shipment of the goods. If you have questions about the product, you can contact us by phone at our customer service. Our friendly will gladly help you. Online shopping is fun!